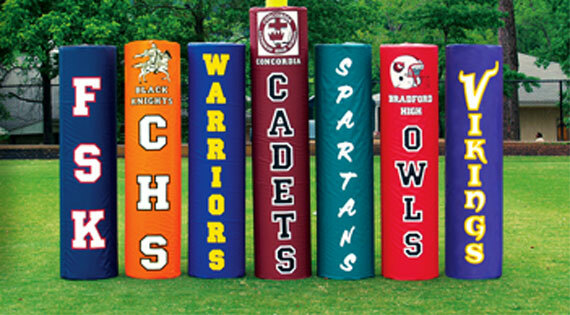 Call 800-877-1500 To Order Your Goal Post Pads Today! Customize the look of your goal posts while increasing the safety of your players. 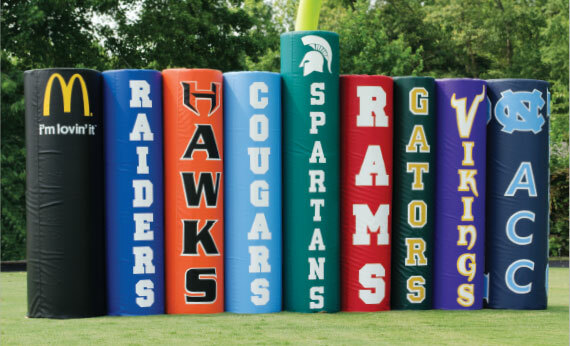 All of our goal post pads meet NCAA and NFHS safety standards. Heavy-duty, 18 oz. coated vinyl nylon covers. Available in 16 colors plus custom printed. 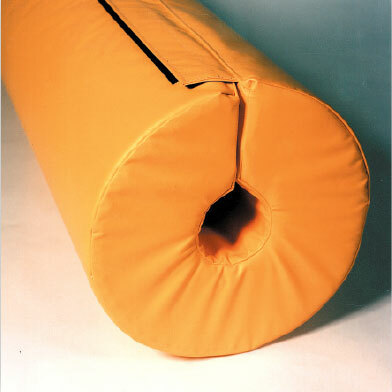 Solid polyfoam cylinder with a center cut out to match your post. Please provide pole diameter or circumference when ordering. One or two color lettering, tackle twilled onto the pad. Up to 10 letters per pad. Letters and background vinyl available in 18 color options. Printed multi-colored letters and logos. No limit on the amount of colors able to be used with a solid color background in one of our 18 vinyl colors. 360º of fully digitally printed graphics with as many colors as you want. The ultimate way to show off your school’s brand. This unique design allows you to display your team’s name or sponsor ad on all four sides of each pad. Sold in pairs. Make your old goal post pads look new again. Change them out for one game, or an entire season with the Wrap. A quick and economical way to upgrade your existing pads, or to promote special events. 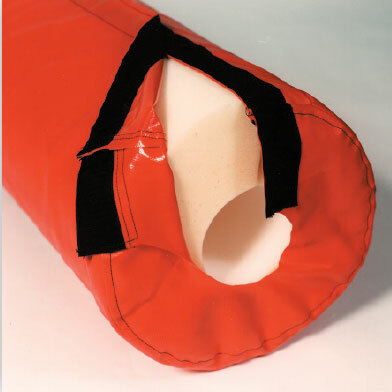 Wraps close using a vertical hook and loop enclosure. Wraps are sold individually. Goal Post Pad Caps are foam padded cap that sits on top of any goal post pad. Custom Diameter by 12 inches tall.